Native plants play critical roles in the ecosystem, providing wildlife habitat, contributing to water quality, flood management and soil stability. In addition, some plants have been found to have great medicinal value for example, the Pacific Yew tree, which was considered a “trash plant,” produces the breakthrough cancer drug Taxol. In the Houston area particularly, native plants are threatened by the rapid spread of the invasive Chinese tallow tree. The plant collection effort is part of the Millennium Seed Bank project, developed by the Royal Botanic Garden, Kew, United Kingdom. As one of five U.S. non-profits selected to participate, the Wildflower Center has collected and banked seeds from more than 300 plant species in Central and West Texas. In the past four years. The goal is to bank seeds from 950 species from the Edwards Plateau and Blackland Prairie eco-regions by 2010. The grant will extend the seed collections to eight counties surrounding Houston: Harris, Brazoria, Chambers, Galveston, Fort Bend, Liberty, Montgomery and Waller or 8,000 square miles. This is a region of exceptionally high plant diversity. About 3,400 of the 5,000 native Texas species targeted by the Wildflower Center are found in East Texas. The Center has targeted 600 species for seed collections, based on rarity, dominance in the landscape, importance to wildlife, role in the ecosystem and other factors. A key partner in the effort is the Mercer Arboretum and Botanic Gardens at Humble, where a trained seed collector will supervise volunteers. Between 10,000 and 20,000 seeds per species will be collected and shipped to the Royal Botanical Garden. The seed collection program is built primarily on the cooperation of private landowners and the hard work of trained volunteers. The Wildflower Center has already trained more than 40 Houston area volunteers in plant identification and seed collection techniques. Project leaders anticipate training 30 more volunteers each year. Another key part of the project is outreach and education, which will emphasize the importance of a diverse native plant population. There are 29 federally and state listed endangered and threatened plant species in Texas and almost 250 plants of special concern. Michael Eason, a botanist and Wildflower Center conservation program manager, will manage the project. Houston Endowment is a private philanthropic institution founded by Houston developer and civic leader Jesse Jones and his wife, Mary Gibbs Jones in 1937. It is dedicated to improving life for the people of the Houston area through its contributions to charitable organizations and educational institutions. Houston Endowment donates more than $70 million annually to help fulfill the Joneses’ vision of a healthy, vibrant community. 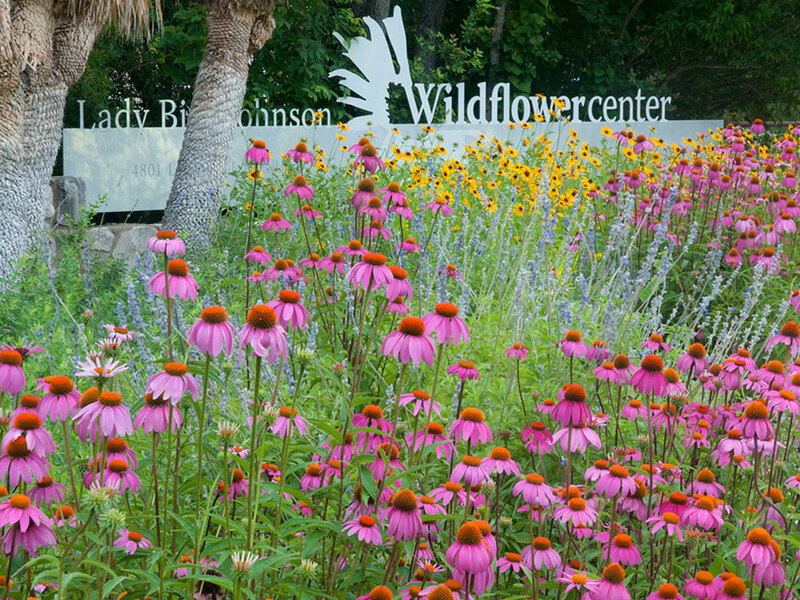 The Lady Bird Johnson Wildflower Center at the University of Texas at Austin is a 279-acre public garden and research area dedicated to the mission of increasing the sustainable use and conservation of native wildflowers, plants and landscapes. 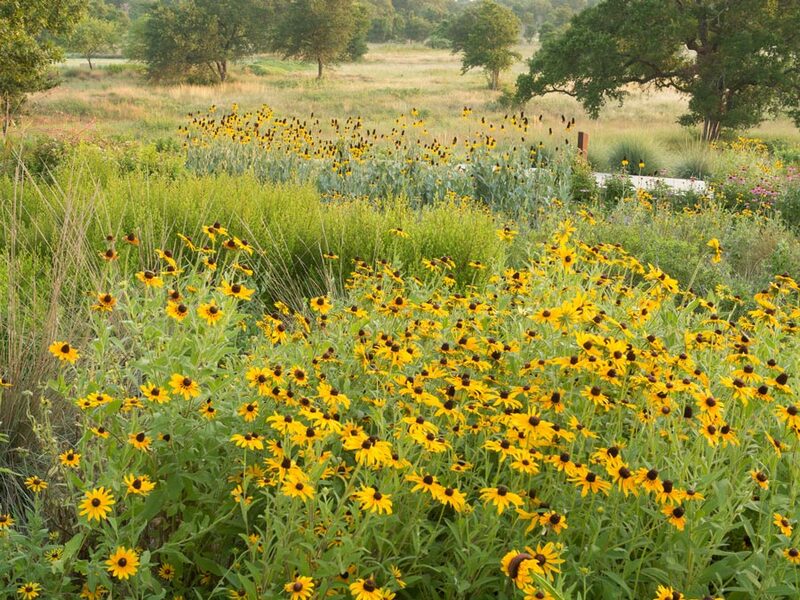 Founded by Mrs. Johnson and Actress Helen Hayes in 1982, the Wildflower Center brings life to her hope to preserve and expand the beauty and regional identify of natural landscapes. The Center’s gardens and research plots are open to the public.